cPanel has a function where you can add a hit counter to your website. You can access this function through the CGI Center located under Softwares / Services. The hit counter shows the times a web page has been viewed. The hit counter can also display the current time or date. 1. 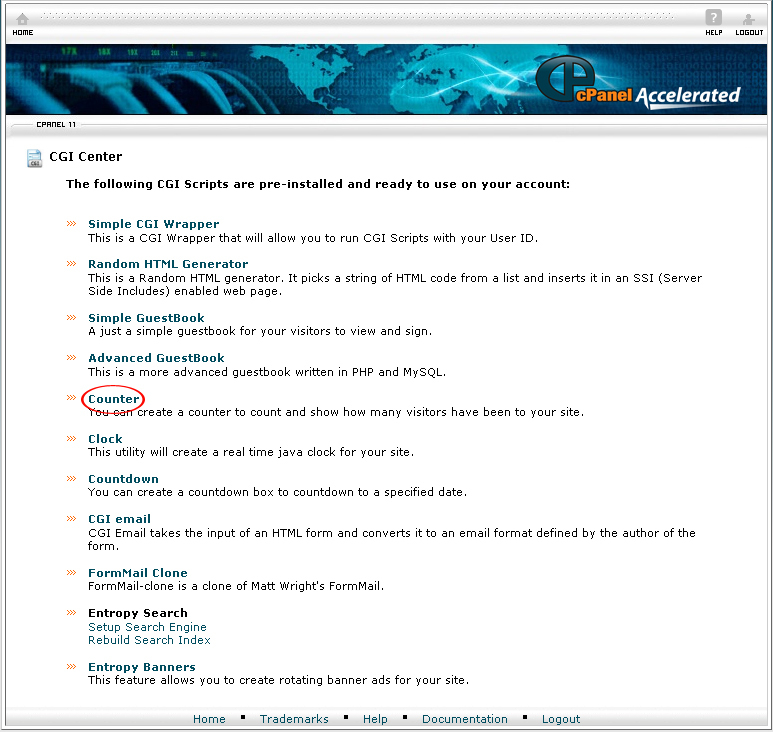 On the homepage of your cPanel, click CGI Center under Softwares / Services. 2. Click on the Counter link. 3. Under Please select functionality, choose counter. 4. 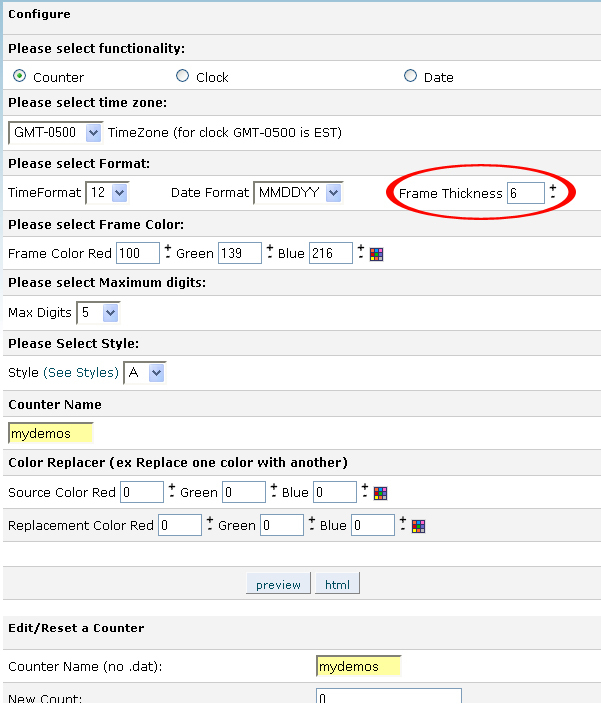 Under Please select Format, enter a numerical value in the textbox to determine the thickness of the hit counter frame. Alternatively, you can click on “+” button to increase the frame thickness and “-” button to decrease the fame thickness. You will be given the option to preview your hit counter later. 5. 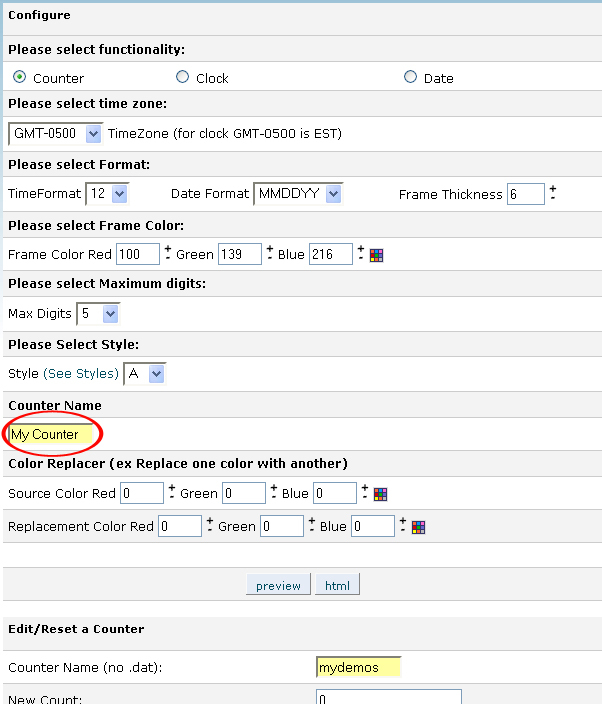 Under Please select Frame Color, enter the values for the frame color. You can also pick a color through the color selector provided by cPanel. 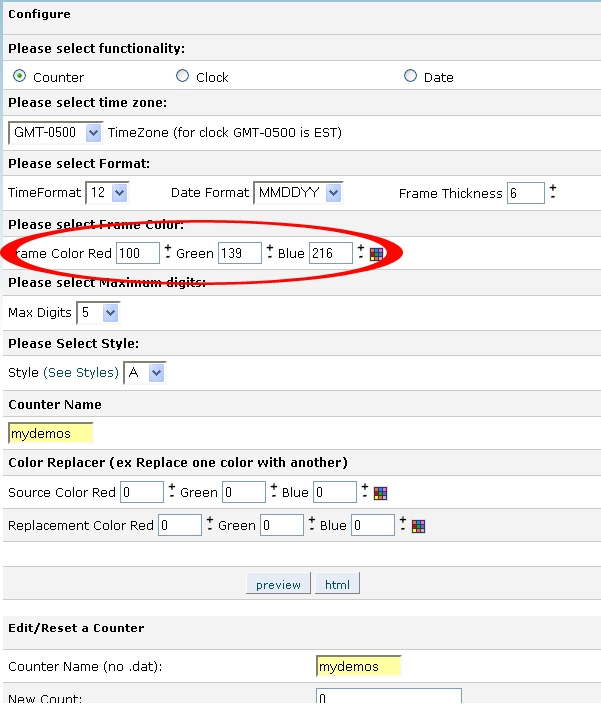 After you have chosen a color, click on the x in the upper right corner of the color selector. 6. 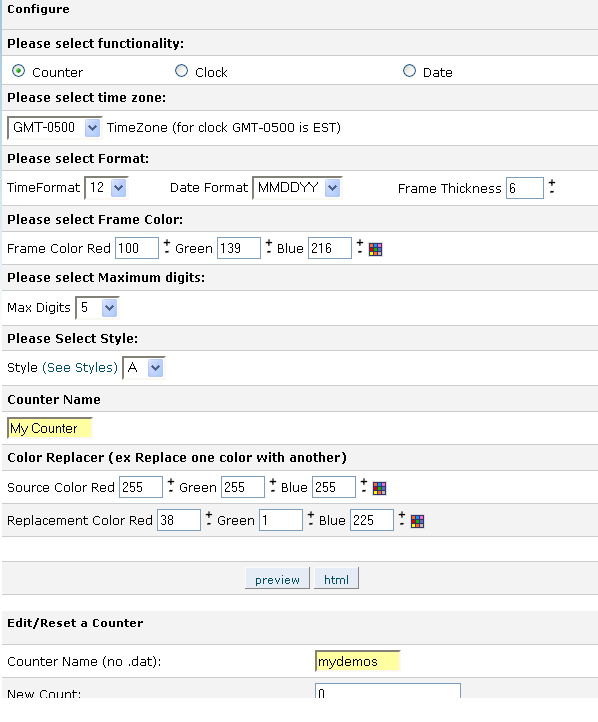 Under Please select Maximum digits, select the maximum digit for the hit counter from the drop down menu. 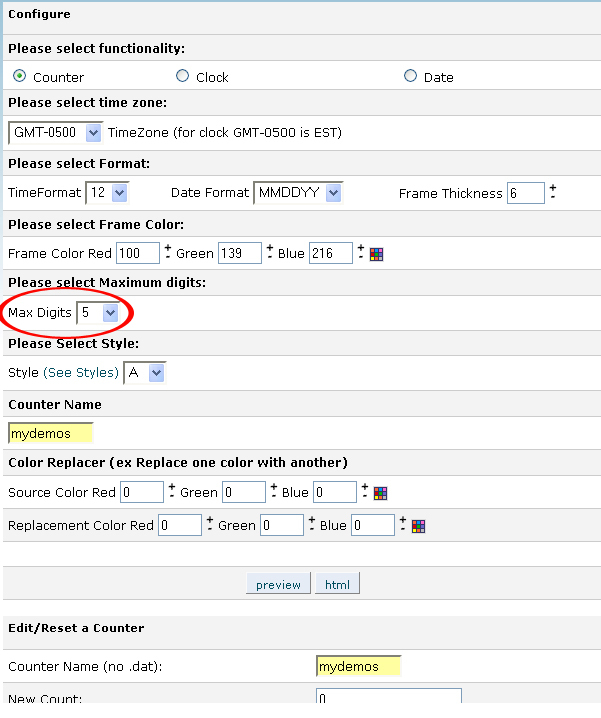 By default, the maximum digit is set to 5. 7. 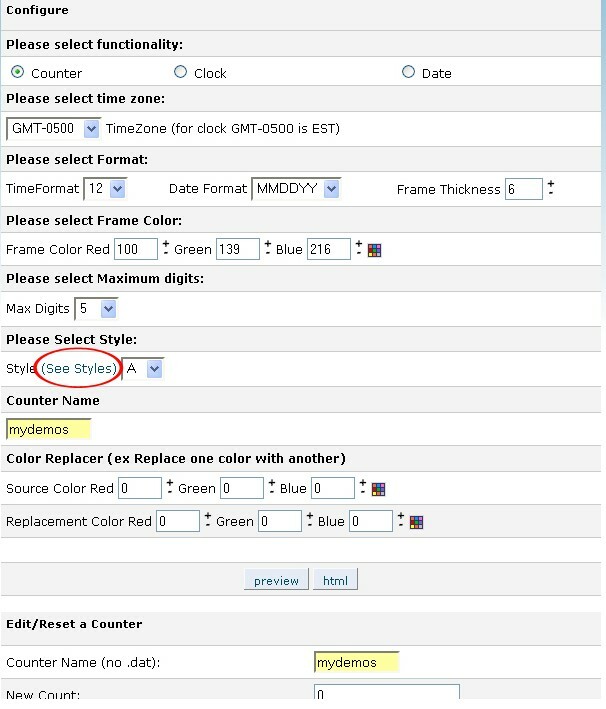 Under Please Select Style, click on the See Styles link to view the styles available for the hit counter. 8. There are 33 styles which you can choose from. Enter the letter or number of the desired style for the hit counter. 9. Under Counter Name, enter a name for the hit counter. The name will be used by cPanel to save the hit counter that will display on your website. The Color Replacer allows you replace all the colors in one instance. 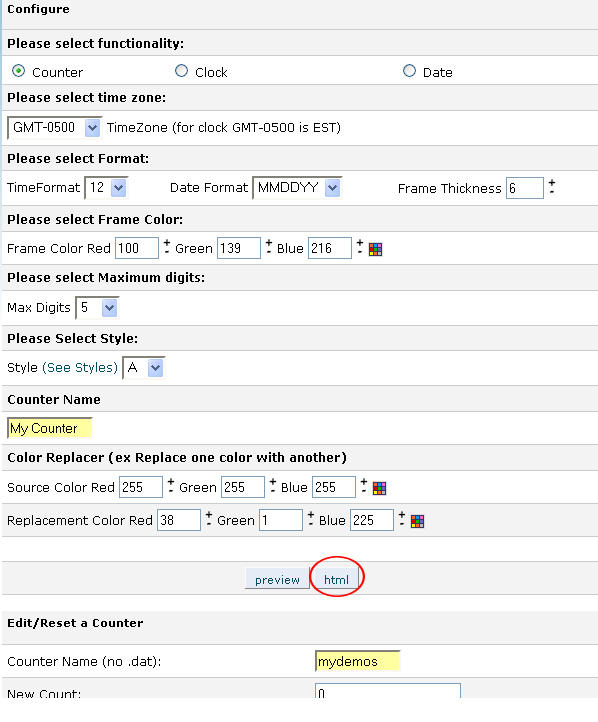 To replace a color, click on the multicolor tool box on the right of the source color. 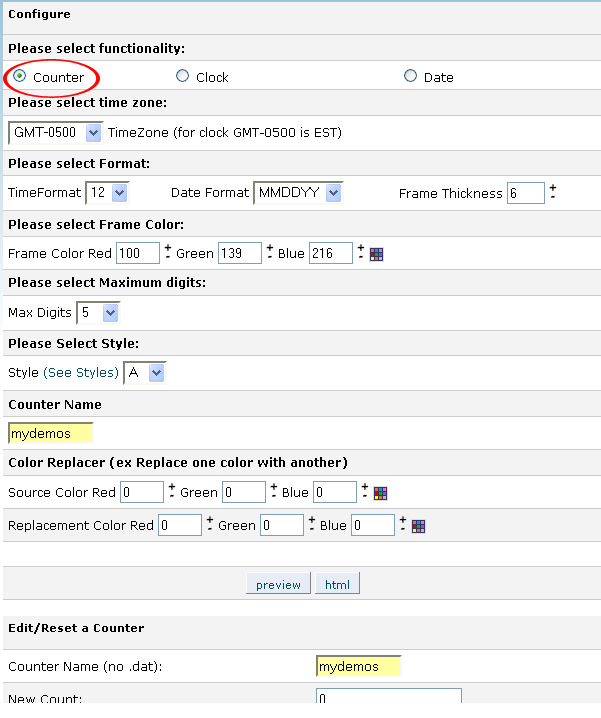 You can increase and decrease the value of a color by clicking on the “+” and “-”. To preview the hit counter, click on the preview button. cPanel does not limit you the times which you can view the hit counter. If you are satisfied with the preview, click html. 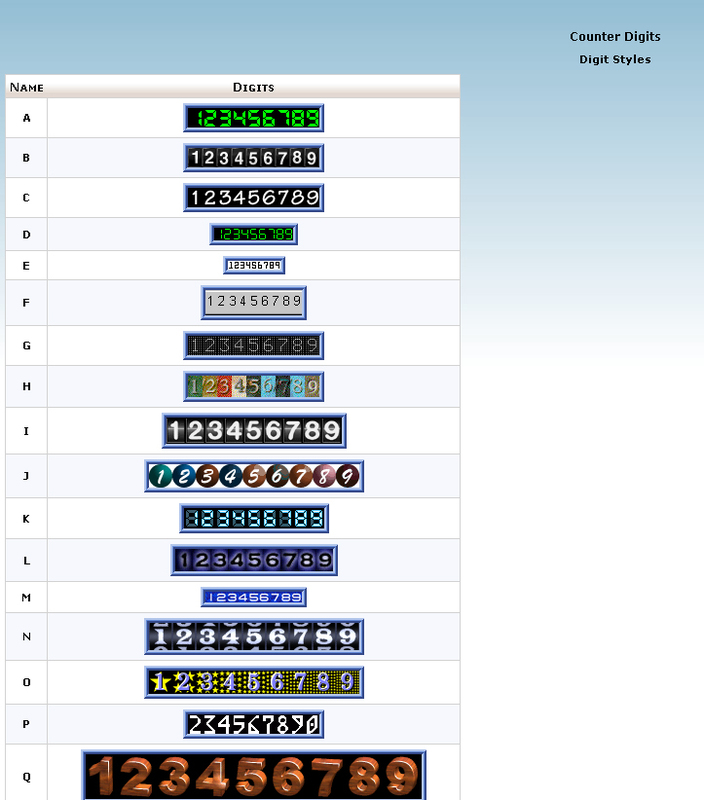 The html code for the hit counter will appear. Copy the code beginning with <img src= and end with >. After that, paste the code into the place where you want the hit counter to appear on a web page. If you want to change the name of the counter after you have created the display, enter the new name in the Counter Name box and then click the Commit Changes button. If you want to resent the count, enter a new numerical value in the New Count textbox and then click the Commit Changes button. Is this article recent? On my Cpanel ,it doesn’t show CGI Center under software services or anything. Please answer in a timely manner. Yes, it is recent, yet it depends on the version you’re using.